Call it an ineffective observation, but many of us will point to mathematics as our least favorite subject. There is something in the world of constants and variables that intimidates us. Then again, we cannot scoff at the fact that nearly everything is subject to statistical inquiry. In B2B telemarketing, businesses depend on mathematical functions to gauge the success of their CRM and lead prospecting activities. It is impossible to know what individual decision-makers want or whether one’s marketing investments are producing as expected, which explains the reason to use marketing metrics. Lead generation telemarketing is influenced by several factors. And ignoring such factors is considered counterproductive. Anyway, how can you improve your marketing efforts or feed your pipeline with high quality B2B sales leads without taking into account such metrics as buyer preference and ROI? Like it or not, you would need to assess critical marketing metrics. These variables after all can determine where you are in realizing your lead generation and appointment setting goals. Conversion rates. Taking into account the conversion of B2B leads into prospects and prospects into sales, a business is able to provide itself a clear description of its current strategies. A drop in conversions may call for improvement in your marketing structure, particularly the way one’s telemarketing staff responds to audience needs. An increase meanwhile suggests simple maintenance or further improvement. Call volume. How often do your telemarketers contact leads? Or in another case, how many calls should your telemarketers make in a day? Call volume is important in that it shows lead generation productivity. Of course, high call volumes indicate high traffic of B2B leads which can be qualified for the sales team to engage. ROI. Another important metric to take note is ROI. 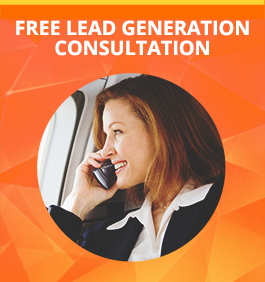 Setting up a lead generation telemarketing campaign entails a lot of effort and expenses. It is thus vital to track whether your investments are efficiently returning to your coffers. Poor ROI obviously indicates a waste of resources, thus necessitating improvements in your telemarketing activities. Lead quality. Always consider the pertinent data of each lead that comes your way. Do they fit snuggly with your audience profile? Do they belong to the industry that makes the most use of your products and services? How many wrong numbers were dialed? Taking into account these questions can aid in motivating your lead generation team to focus on quality and not solely on quantity. These are the top metrics to observe in lead generation telemarketing. And learning to love them unconditionally can put your campaign on a winning streak. Amid tight competition among B2B market players, a separate issue continues to prevail over lead generation and telemarketing: that issue is profitability. The preponderance of multiple communication channels allow for creative as well as efficient marketing combinations that provide high profile B2B leads. And since competition is impacted by a desire to acquire quality prospects, businesses expend a great deal in coming up with an effective audience profiling scheme. Other than, lead nurturing processes are being improved in a bid to enhance traffic volume to an enterprise’s sales pipeline. As much as you want to succeed in your lead generation, telemarketing plays a major role in facilitating the sales process and lead generation. And it would prove to be an effective means for getting a good stream of investment returns. However, some marketers struggle over creating a profitable B2B telemarketing plan. Fortunately, achieving that end doesn’t entail much trouble at all. Enhanced lead management. Too often have marketers overlooked the idea that prolonged and persistent engagement with B2B prospects is an essential prerequisite to a purchase. Managing B2B leads is all about uncovering the value of your potential clients and determining whether they are eager to buy or not. And having an efficient, customer-centric program can benefit your appointment setting efforts later on. A comprehensive contacts list. Maintaining a quality list of business prospects is another vital component in a B2B telemarketing campaign. Moreover, managing your contacts and segmenting them appropriately according to their willingness to buy could help increase sales conversions. Direct mailing. Emails go hand in hand with telemarketing in the drive to maintain customer attention. They are crucial in following up on prior engagements. And they are also a good way to drive traffic for your landing pages. It is just a matter of perking up your emails in a way that could keep your audience interested. In other words, refrain from using too many details and image heavy pronouncements. Opt for specific offers like subscriptions and discounts, and you might as well give your campaign a good push towards higher response rates. A well-nurtured telemarketing staff. Sometimes, B2B goals are much easier to attain when everyone contributes a bit of their expertise. Customer engagement in the form of cold calls are difficult for a reason; perhaps numerous reasons. It would take an experienced marketer to drive a confirmation home. But isn’t the only factor. Training and nurturing your staff allows for better and appropriate discussions, the result of which is a spike in sales. As we can observe, competency is a key influencer of profitability. If you are gunning to maximize your investments, outsourcing your lead generation telemarketing processes to a results-oriented B2B firm might just do the trick. You don’t always expect things to run smoothly within the domain of B2B Telemarketing. Privacy issues, copyright lawsuits and court-sanctioned searches can put your company under a bad light. Not only that, these problems may deal a painful pinch that could suffocate your company and render your lead generation efforts null. Indeed, dealing a crisis can signal the death knell of a well-conceived marketing plan and more importantly a well-sculpted reputation. In the event of such difficult dilemmas, the only logical step is to mobilize a crack team of damage control experts and resolve these problems professionally. Get a PR team. This is your company’s A-Team, ever present during periods of highs and lows. But mainly, their abilities are best measured whenever something critical comes up. A public relations plan is an important company facet upon which rests its existence and credibility. In this respect, your PR Team will always be there to operate your defenses. And for this you will need to partner up with the appropriate agency. Hire competent legal experts. A company attorney should have the legal prowess, and not just the “Atty.” prefix. Your legal team must be composed of proficient individuals who are more into performance and result than to simply widen their lists of clients. Also, never measure legal competency by the ability to memorize every passage of your country’s constitution. Go for someone who can efficiently analyze documents and contracts as well as provide you with sound advice. Okay, so now you have an army of experts to do your bidding. The next step is for you to determine which strategies to use. The following are typically employed to save you from a potential PR nightmare. Public apologies. Whether it was due to an awkward tweet or a poorly managed campaign, making a public apology simply means that you are handling the matter like any mild mannered adult would. Guarantee your existing and potential prospects that your management will treat the problem. Internal contingency plans. In most cases, crises can originate within the organization. Staff errors are always a possibility. Thus, trainings and company symposiums are the best way to orient your personnel to prevent problems from arising, identify potential issues, and fix the issues themselves before they blow out of proportion. Considering these points, don’t expect success to be a rickshaw ride through Hong Kong. Anything can happen along the way, leaving you with the option of preparing for the worse or ignore everything and hope for the best. The answer couldn’t get any more obvious. When telemarketers start calling prospects on their lists, the core operation of marketing begins. This is the part where everything is put on the line; the fate of the entire B2B lead generation campaign will ultimately be decided on whether a call is successful or not. But aside from that, telemarketing calls also serve another purpose: it also shortens the sales cycle so that more leads can be accommodated. However, there’s a catch: it only works when telemarketing is at its best. Efficient telemarketing can weed out bad data. Through a systematic ‘sweep’ of a typical database, initial touches can help get rid of inaccurate and outdated information so that the more proficient telemarketers won’t be wasting time on fruitless calls. The only way that you can truly verify the accuracy of data is to talk to someone from the company, and telemarketing can address that. Efficient telemarketing can add relevant data into the mix. Of course, once a communication line is established, telemarketers can also incorporate additional information for future callers’ disposal. For example, if Telemarketer A calls and gets rejected, he can at least ask for future entry points (such as expiration of current contracts, seasonal needs) and update the pipeline. This would be helpful for Telemarketer B in preparing for the next touchpoint, thus making the process more efficient. Efficient telemarketing can institute brand awareness. Not every call will be entertained. But as long as each call is branded properly, there would have to be some sort of brand retention in the prospects’ minds, and it should facilitate in establishing familiarity. It also leaves an impression among prospects that a certain provider is committed to offer products and services that may come in handy later on. Efficient telemarketing can improve the marketing-to-sales handoff. When leads are captured at the right moment and for the right reasons, passing them over to the sales department won’t be as chaotic as it usually is. This in turn reduces instances of rejected leads and disagreements in terms of qualifications, eventually resulting to a shorter, more productive sales cycle. To achieve all these, one needs additional resources and manpower. Lead generation and appointment setting services companies have a pool of competent B2B telemarketers ready to take on the job. It’s quite an investment to engage into, but the returns are long-term and measurably satisfying. In this time of unlimited digital resources, a budding telemarketer would not have any problems with gathering information and advice on how to become proficient in his or her field. Experts here and there provide what things there are to know to be successful. But there are also things that even books cannot teach. They’re more like significant tidbits of wisdom that only experience and credibility can bring about. Some say that B2B telemarketing is all about the sales pitch. That’s only half true. The other half depends on your offer, and in order for your goal – which is to persuade a prospect to commit to a sale – to be achieved, you need to make your offer irresistible. When talking to prospects, you don’t just create mental bullet points of key features of your product or service. You need to present them in a way that stands out from the competition. If you sell IT software, for example, you may talk about how this product was able to help a certain company, or how superior it is compared to direct rivals. Don’t just tell them that it’s good; tell them why it’s good. Of course you’ll be talking about how you could save them money and how more efficient their operations would be, et cetera. But those are palpable details and prospects are already kind of expecting them. What you also need to focus on are the good features that may not know about. Dwell on value. Dwell on investment. Talk about how this purchasing decision could impact their business in the larger scheme of things. Freebies always appeal to buyers. It gives that extra shove for them to commit to a subscription or agree to a sales appointment. 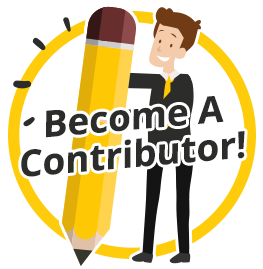 But it shouldn’t be just any kind of incentive – as much as possible, give them something they could use in connection to their purpose of visiting your blog. On the flip side, don’t offer too many incentives; you don’t want to look like you’re too desperate for leads. “Why would I need that?” – If you don’t have an answer when a prospect asks you that question, you will most likely have a hard time selling your stuff. Without a sense of urgency in your sales pitches, prospects would have no reason to even give your call its due consideration. Build your pitch around the reason why they need to make business with you – and fast. Lead Generation, as a process, is as basic as it gets: A prospect is engaged in a conversation, then asked for vital information, then ultimately qualified as a sales lead. But in Business-to-Business (B2B) Outbound Telemarketing, the responsibilities are not limited to “searching” for leads. Considering that the prospective clients are also businesses, the dynamics of the demand for business partnerships may rapidly change before anyone’s eyes. Hence, leads must also be followed-up until the very closure of the transaction. This is also to say, to “extend” the life of a sales lead. The rationale behind this need lies on every Telemarketing company’s desire to generate quality leads as opposed to quantity. After a professional telemarketer has just finished a successful correspondence with a prospect, it should be imperative for the telemarketing team to check on what has transpired during the conversation, assess the degree to which the lead is qualified, and confirm whether future contacts and meetings are necessary. Why? Accuracy, for one. Sure, the agents gathered all these information from the prospects, but are they correct? And if they are correct, are they relevant? Are they useful? Another reason is, again, business operations and needs rapidly change. It’s not the same as with regular household consumers, basically because these people usually know whether they want a product or service. If a housewife agrees to buy a vacuum cleaner next week, the salesman doesn’t necessarily need to follow-up on her to verify the agreement. Otherwise, if she says they don’t need a vacuum cleaner, the chances of her changing minds are already remote. Most of the time in B2B, the process of “extending” the life of sales leads goes even further – especially when the prospect manifests a “soft NO”. In industries such as Information Technology and Software Development, the word “no” is never absolute. New innovations and upgrades happen almost every day, and no one knows what companies would require in the future. In this case, the telemarketing team reserves the lead for future use, which only means that they would have an additional (although non-urgent) task of getting updates on the target company’s recent and upcoming changes in their operations, particularly their potential needs and wants, which may bring about another opportunity for a business partnership. 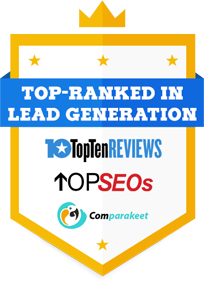 Various outsourced Lead Generation and Appointment Setting firms develop their own strategies in looking after their leads to make sure that they follow through. Some implement a hands-on management style, such as delegating a team whose sole purpose is to track the progress of a sales lead. Others rely on establishing a steady communication with the prospect wherein the goal is to secure a spot on that company’s priority list should their needs arise in the future. Fostering a sales lead may require additional time and resources, but the potential gain makes the effort worth doing. As leads could either be an unexpected lucky strike or a total waste of time, don’t count your chickens before they’re hatched, and all that aphorism. How important would telemarketing be in my revenue generation goals? Will this be a one-time job or will it be permanent? How much will I really save if I decide to outsource? How much do I need to spend in order to find a telemarketing firm that meets my standards or sees me eye-to-eye in terms of what I want to achieve? Do I have in-house employees which have the skills to complete the job? Can time and resources be better spent? What is the company’s reputation in the industry? How much experience do their agents have? Would there be any additional fees in the long run? How much intervention can you make over their operation? The telemarketing firm you will be hiring will represent your brand in the marketplace, and it’s only right to be 100% certain that they are up to the task. 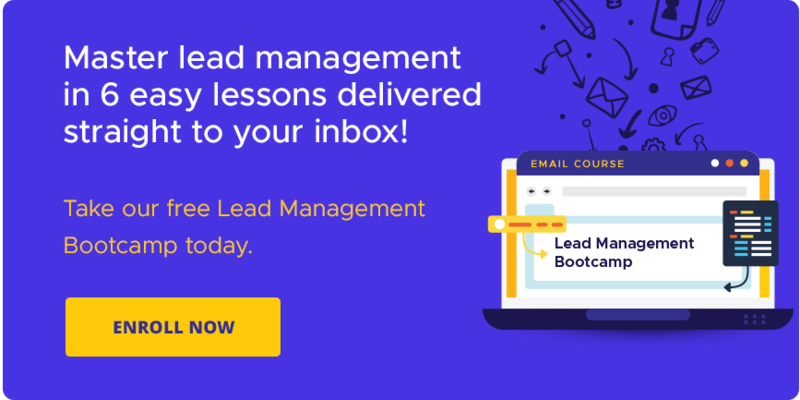 Whether you’re part of an internal marketing team tasked to perform cold-calling prospects or you’re the team leader of an outsourced telemarketing services company, the agenda is constant: lead generation. However, this process doesn’t just involve a handful of telemarketers poring over a list of decision-makers. The overall campaign is typically orchestrated by a number of pertinent people, such as marketing manager, a quality assurance analyst, a sales coach, an account manager, and of course, the client itself. The presence (and sometimes, direct involvement) of these people can affect the flow of control a telemarketer has over his or her own cold-calling strategy. Depending on the nature of the campaign, the “big bosses” can often dictate a certain preferred approach to cold-calling which they think is best for the task at hand. The problem is that there are times when these directions are not suited to the telemarketer’s style or the type of target market. This causes a disconnection between the perceived solution and the actual situation. For instance, your client, the CEO of a vendor of IT products and services, thinks that a perky, feature-oriented approach to prospects is the best way to go. However, you, as the telemarketer, learn that being perky is actually inappropriate when talking to tech-savvy people such as IT Managers and Chief Technology Officers, and that being feature-oriented is counter-productive, since they are natural experts of their respective fields. That puts you in sticky situation wherein you have to follow a client directive and sacrifice the quality of your calls. Or, you could, if you choose to, disregard the coaching and go for what you think is suitable. Being in command doesn’t necessarily mean that you have to choose between the two. All you need is to be assertive in letting superiors (and other concerned people) know that your perspective is more valid that theirs, since you’re the one who’s actually on the phones talking to prospects. Without exercising this power, it would be a lose-lose situation, as you would fail in your telemarketing efforts and your client, too, will not get the desired numbers. For some campaigns to be successful, certain traditions need to be broken and necessary adjustments must be made. Again, it all boils down to communication. As long as there is an open line between you and those who are overseeing the campaign, everyone would be on the same page and the operation will run smoothly and productively. Analyze the situation – this is basically the first step in the decision-making process. You have to identify what the problem is, inspect the many variables that affect it, as well as the impact on your business if you decide not to make a decision. Get some public opinion – when you make a decision that would affect the company’s future, it might be a good idea to get the opinion of your people. Besides, getting some input from others can provide you with a different perspective on what your decision should be. Do some cost-benefit analysis – every decision you make costs you money, so it pays for you to know do a more thorough analysis of the benefits your decision will bring you. For example, spending on new telemarketing equipment might be good, but if the cost of buying new ones will be too much compared to the benefits, then you might as well not do so. Know the risks and the rewards – risks will always be part of an organization. It is how you handle these risks that make all the difference in the success in your business operations. You need to know how to turn these risks into opportunities to generate sales leads. Yes, it would be hard, but as a business manager, you need to know when to bet or when to fold. Doing the right thing – the reason some managers find it hard to make a good decision is because they are confused between doing what many support to doing what is right. You have to admit that it is always easier to do what a lot of people are saying you should do, instead of doing what you believe is the right thing. Yes, the latter may not be easy, but in terms of long-term benefits, this is the path that you should take. Get on with it – seriously, this is the one thing that you should be doing when making a decision: you actually make the decision. Indecisions, doubts, and fear can keep even the most brilliant business plans still stuck inside the closet. If you want to get things done, you have to take action. Create back-up plans – For the success of a company’s B2B lead generation efforts, you would want to have several plans in place. This would make it easier for you to make a decision. Making decisions is not that hard. You just have to know how this would affect your B2B telemarketing campaign. In building a B2B lead generation team, one of the crucial tasks is to gather, train and develop telemarketers who would represent the business when interacting with prospects. The quality of training that goes into this stage is a major factor in determining a campaign’s success. How Can Telemarketing Help Lead Generation In Singapore? Basics first – Just like in any other career that requires training, a telemarketer’s development is determined by the depth of his or her foundation. Additional skills and knowledge becomes easier to absorb if a trainee has undergone solid basic training. Gauge their skills – It’s helpful to conduct a “test run” so the trainer could see the strengths and weaknesses of a trainee. This will be an early basis as to what aspects the training program will focus on as it progresses. It could take extra time and energy to do this, but if this phase is skipped, it would still need to be dealt with in the future. Bank on listening and questioning abilities – These are the two most important skills a trainee must develop in order to be effective. Once he becomes an active listener and a good prober, everything else will follow. Have them set their own skill objectives – The key is to let the trainees realize what their assets are and what areas they need to improve on. They should have a clear goal of what they want to achieve in a given time, and this goal must be measurable. Allow them to share input – Sometimes, a business’s established telemarketing traditions don’t suit a person’s style, personality or skills. In such cases, forcing them into a system they’re not comfortable with can be counterproductive to the whole team. One good start is to ask for their creative input on certain aspects of the program so they could work effectively. Develop a customized feedback system – People’s way of receiving feedback varies from person to person, so it is the responsibility of the trainer (or any other support staff) to identify how each trainee responds to criticism and calibration. When conducting a B2B telemarketing campaign in Singapore, you know that this is a very stressful activity, not to mention the negative perception that persists in the minds of many local businesses. That would create a lot of problems for many companies, both local and international, that are looking for a lot of sales leads. With the competition so intense, the pressure to improve is great. As for your business, you can make some changes here in order to be better in your marketing campaign. These may not be that major, but at least you are going to a positive direction. Now, what are these changes that will make your B2B lead generation campaign a success? Create a better team – you see, a B2B appointment setting team is essential to a proper marketing campaign. These are the people responsible in B2B leads prospecting, generation, and nurturing. To be more efficient, you need to place the right people for the job. It might take you some time, but it is worth the investment. Become the expert – do you know who the types of people that business prospects approach the most are? Obviously, it has to be the expert. Write on your blogs about the latest business trends, developments, or practices. Interact in social media forums. Talk in public symposiums or seminars. Project an image of expertise about your industry and the people in it. That would be one of the most essential rules in proper marketing and lead generation. Be accessible to your prospects – ever experience calling someone on the phone, only for the person you want to reach be unavailable? Very frustrating, right? That is the same issue for your telemarketers as well. You know just how hard it would be to be in contact with your prospects, so you should not waste the opportunity when they call you back. Take advantage of it. These are not something that happens to you every day. Solidify your reputation – you see, in the world of B2B lead generation, a company’s reputation is its strongest marketing banner. It takes years to build a solid reputation in the market, but once you have established one, your business prospects come to you naturally. But be sure that you keep your reputation clean. Messing it up will put you right back to square one, and you cannot afford that to happen in your company. Work on the benefits – it is good if your product has a lot of features, but what is even better would be the benefit that you would be telling your business prospects. When you focus on benefits, you focus on giving your business prospects a reason why they should be using your products. There are a lot of things that you can tell your prospects with your products, things that can make their lives and work easier. A B2B telemarketingcampaign is not really that hard to do. It is all about being resourceful and flexible to meet the challenges of the times.